The Centre for Health Services Research welcomes Professor Amanda Burls from the Division of Health Se rvices Research and Management, City, University of London to discuss the BestEvidence app. Amanda is a Public Health Physician, with special interest in Evidence-Based Health Care and Public and Patient involvement in Health Care and Health Research. Amanda studied Medicine at University College London and later undertook five years specialist training in Public Health Medicine during which she obtained a Masters in Public Health from the London School of Hygiene and Tropical Medicine. 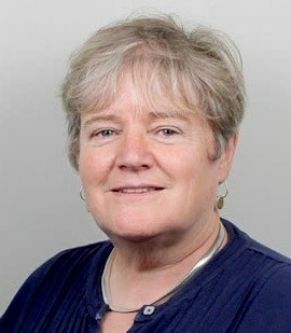 She has been a senior fellow of the Centre for Evidence-Based Medicine since 1996. Amanda currently focuses her research on EBHC, online health research and public and patient involvement in health care and health research and she directs a project called ThinkWell. This seminar will demonstrate the BestEvidence app and show participants how they can add it to their own smart phone. The app works with all smart phones, tablets and desktops. There will be a general discussion about: perceived utility; how the app can be used for users own clinical decision making and learning; how the app can be used with students; how the app can be used for implementation science research; future development. How often do people ask clinical questions using the app? How good are people at picking the best studies to answer these questions? How often do they actively reflect on the studies found? To what extent are their conclusions concordant with expert opinion? Does individual EBP improve clinical decision making? Which educational strategies improve the seeking and evaluation of evidence?